Gone to soon my friend…you will not be forgotten. Prayers to all of her family!! So very sorry for your loss Angela and family. Only met her once but she was a very sweet kind lady. My prayers and thoughts are with you. We know heaven is celebrating her homecoming. Lisa was such a sweet person. She never met a stranger and always was ready to help anyone she could. She will be greatly missed by all who knew and loved her. Prayers for her family she leaves behind. They will always have the brightest star in heaven looking down on them. Lisa Marie Young, 49, passed away September 11, 2018 in Evansville, Indiana. She was born on April 22, 1969, daughter of James Fulkerson and Linda Tisdale in Evansville. She was known for being a Target employee for 23 years and being a friend of the police. She was a very kind, genuine, selfless person, and was always giving her all to anyone in need. 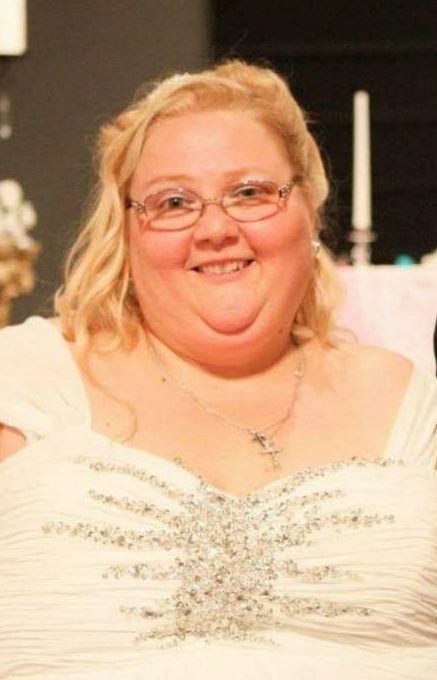 She is survived by her mother Linda Tisdale; spouse of 4 years, Jeremy Young; siblings, Angela (Travis) Raley, Pamela (J.B.) Henderson; half-sister, Sarah (Brian) Kleitz; beloved nieces and nephews Derrick McDowell, Cory McDowell, Alivia Kingston, Madisyn Raley, Daylan Raley, Perry (Morgan) Henderson, Katelynn Henderson, Kaylee Henderson, Mason Henderson, Scott Kleitz, Bryson Kleitz, and Ava Kleitz; cousins, aunts, and uncles. She was preceded in death by her father, James Fulkerson, and her grandparents, Fred and Mary Anna Greene. There will be a visitation held at Sunset Funeral Home on Saturday, September 15, 2018 from 10 AM until 12:45 PM with a service to immediately follow. In lieu of flowers the family request that donations be made to Lisa’s funeral arrangements.